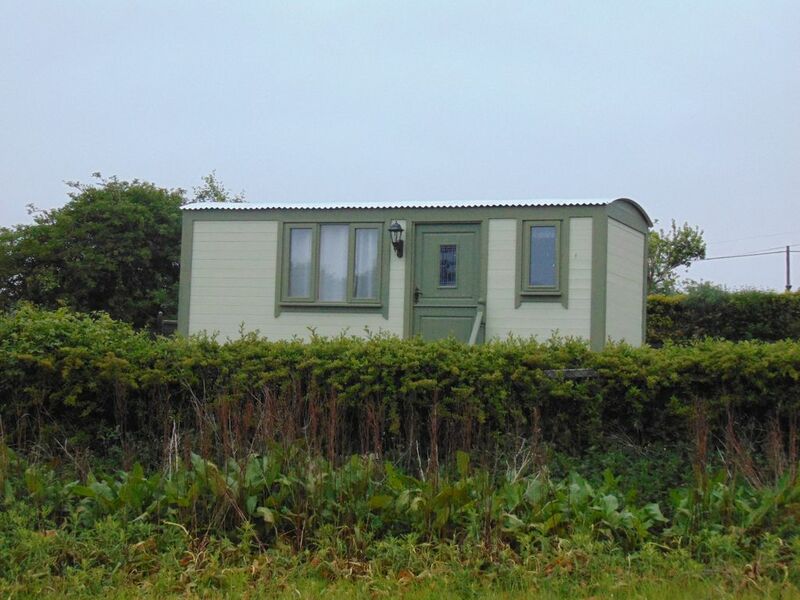 A brand new Shepherds Hut, The Sheepwash Sheppy, is located in a private garden area. Splendid views over open countryside to the river Wansbeck. The hut has a kitchen area, a built in bed. (4ft Double) and a shower room with toilet and hand basin. Outside seating area. Private parking is provided with a very short walk (30m) to the accommodation. This is a glamping experience with no TV or WiFi (4G is available). We do provide a Radio, CD player and mini DVD player for your enjoyment. The kitchen area has a 2 ring electric hob, and a small oven with grill ( mini oven ) and a fridge. We do offer payment options. Payments can be split in to 2 or 3 payments if required. This can be arranged at time of booking. Transport links are close by, Morpeth, 5 miles away has a main line train station for links to Newcastle or Edinburgh or further afield. There is a local bus stop a short walk away. Newcastle International Airport is only 15 miles away. The immediate local area includes some great river fishing and some of the best cycle routes in Northumberland. There is a great local park for the children nearby, and for the dogs a popular riverside walk just minutes from the front door leading through the Wansbeck Riverside Park. Northumberland is also host to some fantastic golf courses all within close proximity. The Northumberland coast, some of Britain's best, is within walking distance along the riverside path of the Wansbeck. With Bamburgh and Seahouses to the North and South Shields and Whitley Bay to the south you won't know which way to go. With Morpeth only 5 miles away and the likes of Rothbury, Alnwick and Hexham a short drive you will be spoilt for choice for days out. So come and visit, you won't be disappointed. Breathtaking scenery, splendid coastlines, historical stories at every turn. Northumberland has a magical coastline and some of the most remarkable views and walks that the UK has to offer. Local attractions include the World Heritage site of Hadrians Wall, the Castle and award winning gardens at Alnwick, (famous now for Harry Potter) the castles of Bamburgh, Warkworth and Dunstanburgh, the Woodhorn mining museum and Holy Island of Lindisfarne. Theses historic sites have more recently been used in the film and T.V Industry with the likes of Vera, Downton Abbey, and of course Harry Potter and Transformers. Come try a new experience of the Shepherds Hut. An escape from the hustle and bustle, but with some home comforts. We had a fantastic say, the hut and the settings are fantastic. Thank you so much for the kind words. So pleased you enjoyed your stay with us. We were very lucky to experience a very warm weekend in the lovely shepherds hut. We had our dog and it's ideally located for a lovely walk on wansbeck river. As well as a 20 min drive to amble and 20 mins to Blyth beach. The hut had everything you could possibly need and ended the day with numerous rabbits grazing in the nearby field. Would definitely recommend for those wanting a quiet tranquil break. Thank you for your positive review. We are so glad you enjoyed your time with us and would welcome back anytime. A semi rural location for a glamping experience but within walking distance of local amenities. Best of both worlds. Situated in the garden area, detatched from the house its remote enough without being too remote.